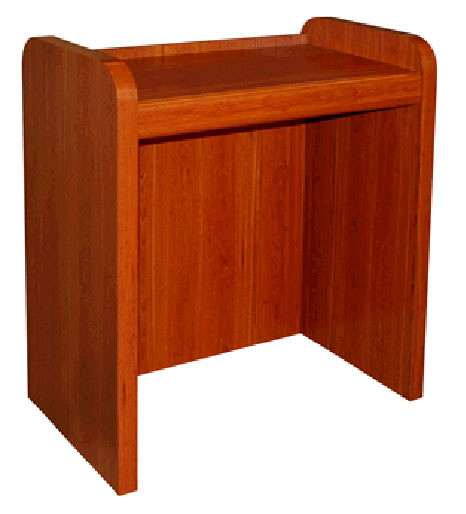 The simple design of this solidly built one-sided check desk can fit in small space and goes with most any decor. It is 39-1/2 inches wide by 42 inches high by 24 inches deep. It has radius laminated counter and ends and is finished on all four sides. Available in ten finish colors, it ships fully assembled. The simple design of this solidly built one-sided check desk can fit in small space and goes with most any decor. It is 39-1/2 inches wide by 42 inches high by 24 inches deep.